What do you give to the person who has everything? How do you show those special people just how much they mean to you? How can you remember the formative people in your life, and pass on the memories to younger generations? Classic suggests a video scrapbook. 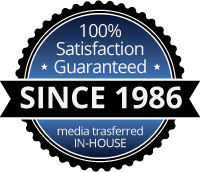 At your request we add music, title text, video or home-movie clips, voiceover (narration), or anything else you can imagine. 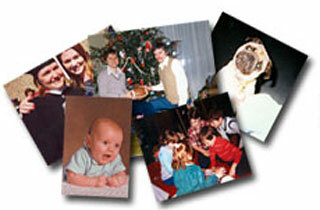 It is even possible to incorporate images from slides (or transfer your slide collection onto video or DVD). You choose the images and their order; you choose the songs and title, or we can help you select something appropriate. Montages can be priced a la carte, or you can take advantage of the package that Classic developed based on working with customers over the years. The package includes 75 photographs, which are incorporated with 3 songs, an opening title, and put on a DVD. You are still free to add options to the package a la carte. Montages are entirely personal and record your views of how much someone means. The lucky recipient can be reminded of you, of special events, of an entire life, every time she or he views the montage. Our customers have used montages for birthdays, anniversaries, weddings, memorials, retirement celebrations, and as gifts for special friends moving away from the neighborhood. Think of all the opportunities you have to show someone how you feel. You know what you’d say if that lump wasn’t in your throat or you weren’t laughing so hard, so Classic gives you the chance to let your pictures say thousands of words for you!